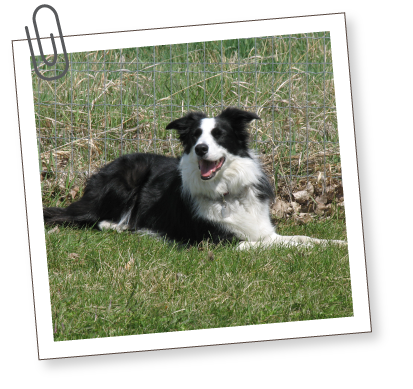 *South Bark is a place for happy, friendly and well socialized dogs. Due to the interactive arrangement of this kennel, we cannot accept AGGRESSIVE DOGS. *We require a two night minimum stay. VACCINES: We require vaccines every 3 years including the following; Rabies, Distemper and Parvovirus. In lieu of vaccines, we will accept titre testing. ***Please beware that, despite being vaccinated for Bordatella, your dog can still become symptomatic with the virus. Its similar to a human cold virus and is difficult to contain. *YOU WILL NEED TO SUPPLY VACCINATION RECORDS OR HAVE US PHONE YOUR VETERINARIAN FOR VERIFICATION. BORDATELLA & LICE/FLEA PREVENTION: We do not make either mandatory but we highly recommend. Both are very contagious and can easily be transmitted from dog to dog. DEWORMER: We highly recommend yearly internal parasite prevention. Worms are easily transferred from dog to dog, especially those dogs that are socializing with other dogs frequently. FOOD: We prefer your dog’s own diet while he stays with us. This minimizes stress on the digestive system. Avoid switching diets just before you drop your dog off. Switching requires a gradual change. To simplify, package your dog’s food portions & medications into Ziploc bags with name and instructions clearly printed on the bags. Bring a little extra food in case of late return or if your dog requires more food due to lots of exercise. Please refrain from bringing large containers or bags of dog food unless totally necessary. We do not have storage space to accomodate. *Note* Storing food in plastic containers can cause it to become rancid. *WE ACCEPT RAW DIETS. We supply Perfectly Raw diets, for a fee, should you not want to bring your own. *WE SUPPLY SPRING WATER, TREATS & BOWLS. BLANKETS/TOYS: We allow these items but can’t guarantee they will come home clean. Toys can be hard to keep track of, as well. If your dog is a chewer, we recommend leaving these items at home for the safety of your dog. UPON ARRIVAL: Please arrive with sufficient time to fill out or revise paperwork. Please have all dogs on leash and children under control so as not to upset the current guests. “EMPLOYEES ONLY” ALLOWED WITHIN KENNEL AREA. Please give your dog hugs before we take him/her to get settled in. The dogs, already in the kennel, feel the need to guard and get very upset when strangers enter. Thank you for your understanding. Kennel area can be viewed through a window. OFFLEASH PLAY: Our canine guests are allowed to interact with other dogs on a daily basis. All play is supervised, within a fenced area. We follow every precaution during playtime but you must realize that these are canines and we cannot predict every move they will make, even between long time friends. In an emergency situation, we will seek veterinary treatment. All costs will be the responsibility of the owner upon pick up. If you do not feel comfortable with an off leash group situation, for your dog, please let us know. Private playtime can be accommodated. Dogs, over one year, who are not neutered/spayed will NOT be allowed to play in a group situation. INSIDE THE KENNEL: All dogs have their own private indoor/outdoor dog run and someone is on site 24 hours per day. The dogs are only separated by chain link which is less stressful for most dogs. However, if you know your dog to be a ferocious fence fighter, this may not be the kennel for him. Please let us know if you have concerns. We play music 24 hrs per day. With exception of a night light, lights are shut off at night. Dogs are fed twice per day.